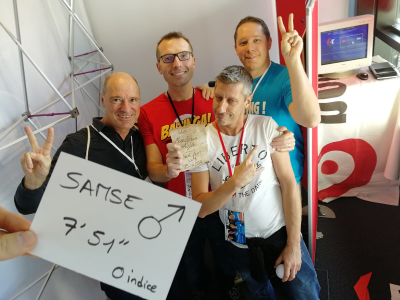 Bonitasoft sponsored Agile Grenoble 2018 and we had a blast! 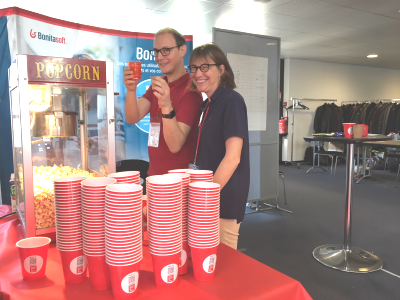 Bonitasoft sponsored the annual Agile Grenoble conference this year and we had a blast! 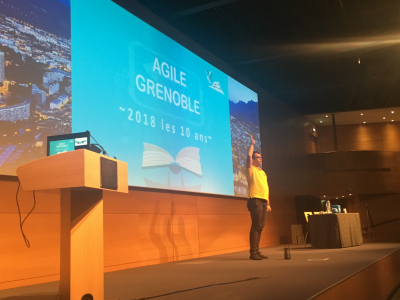 Agile Grenoble is the biggest conference on agility in France. Each year more than 1,700 participants come from all over the country, from all sectors and from companies of all sizes. Participants offer a wide diversity of profiles: beginners, experts, developers, Scrum Masters, Product Owners, managers, managers, coaches, and more, all coming for a program loaded with multiple tracks and plenary keynotes. 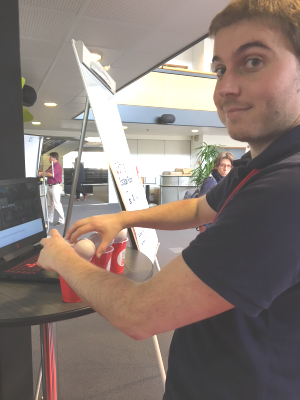 Carole Winqwist, Bonitasoft's Vice President of Marketing, notes "We were doubly pleased to participate in this event because, on one hand, our R&D teams have been based in Grenoble since we began in 2009 and on the other hand, agility has always been centered at Bonitasoft. 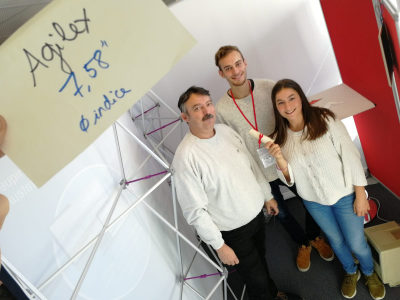 We apply it in practice at all levels, in terms of technological solutions of course, but also in our customer relations and our internal organization." 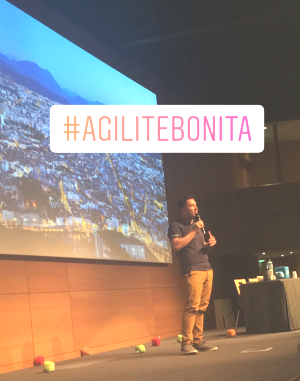 Bonitasoft kicked off the conference with a talk by our COO Charles Souillard on "Agility at Bonitasoft." 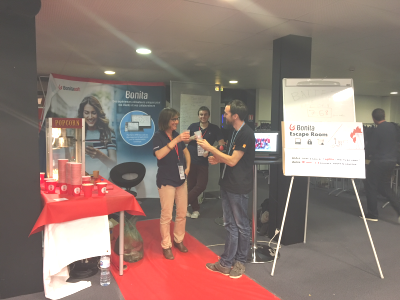 And during the two-day conference, Bonitasoft hosted a "BPM & Agility Escape Game" at our booth. Meet the winners of each day! 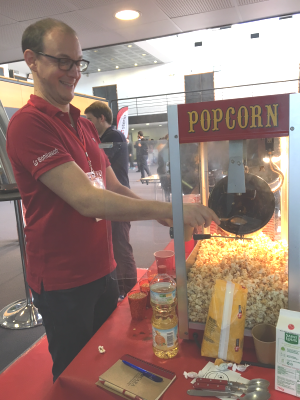 Our popcorn machine was a hit too! Carole adds, "While we will soon celebrate our 10 year anniversary, we have kept our spirit and agility of 'a start up'. 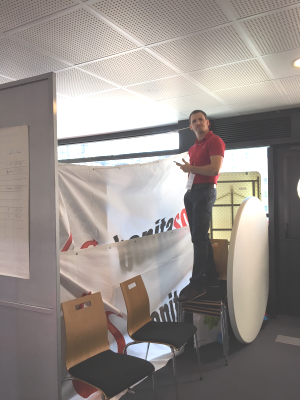 You can see this, for example, in the 'customer centric' approach that we have put in place, which enables our employees to operate in agile mode to anticipate problems and deliver maximum value to customers. Thanks to this approach, we now have a retention rate of + 95% from our customers." We also have a lot of fun - we are a Great Place to Work and we won a Best Place to Work award this past year as well. Bonitasofters work and play well together!